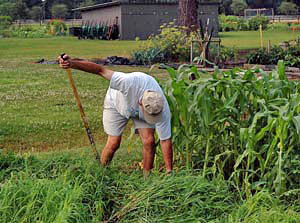 Gardening is one of those activities that is just as rewarding when doing alone. Then there are times when sharing the experience with someone else is even better. And sometimes the best gardening experience is when you contribute to a bigger cause, sharing your efforts and talents with a group, all sharing a common goal. As long as I have the chance to garden, I’m just as happy doing it by myself as I am in a large group. However, call me a loner but honestly, I enjoy working in the garden alone, just me and my plants (and weeds, there are always weeds). How often hear how therapeutic gardening is for the mind, body and soul. I’ve often said it many times myself. If you love gardening too, you know exactly what I mean. The simple act of getting your hands dirty can suffice to provide hours of pleasure and entertainment. No agenda is necessary and there is no one around that requires entertaining. The energy used to speak is replaced with the opportunity to listen, to think and to observe. Sometimes the work is light and nothing really screams out for our attention. Admittedly, those times are worth relishing. For me, they are few and far between. More often, I find that with so little time to actually spend in my garden, it would be easy to feel overwhelmed by the amount of maintenance related activities such as weeding, pruning and simple clean up. As I’ve matured as a gardener though, I’ve even learned to see past all the messes as problems and look to them as opportunities. Now I celebrate the accomplishments when in a few short weeks, the garden of neglect shapes up into something to be proud of. On those days where it’s more work intensive then simply smelling the roses, I put my blinders on and go to work. I’ve learned to “eat the elephant one bite at a time” so to speak. Even gardeners like instant gratification. I get it by focusing on one particular area or task and staying with it. I see progress and I become encouraged and inspired. Now I’m on a roll, as I tackle that project and move on to the next. After several hours that seem like only several minutes, I am invigorated. No doubt, I’m tired, but it’s that good tired you get from doing something productive that you thoroughly enjoy. Even in the midst of focused intensity, the solitude allows me to really hear the birds, see the plants in a different way and smell the sweet scent of the earth once again. So, for the solo opportunities to spend time in my garden or in any garden for that matter, I relish them. No matter what the opportunity, from a simple stroll with my morning coffee to a round of weeding in the afternoon sunshine, it is never really “work” to me. I’d say don’t tell my wife that but I suspect she already knows how I feel.